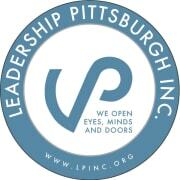 Founded thirty-five years ago as an expression of faith in the Pittsburgh region and its promise, Leadership Pittsburgh Inc. (LPI), an independent 501(c)(3) nonprofit organization, is now recognized as the premier resource for community leadership in Southwestern Pennsylvania. LPI has an alumni network of more than 2,000 influential civic leaders working to maximize the potential of our community. Modeled after existing programs around the country, the Leadership Pittsburgh (LP) program was conceived by community leaders, affiliated with the Pittsburgh Chamber of Commerce, to enhance the quality of regional leadership through programming focused on awareness of community issues. Leadership Development Initiative (LDI) was added as a companion program in 1994, and, in the fall of 1998, Leadership OnBoard was developed to facilitate board placements of young professionals. In 1999, the "organization" received its independent corporation status. Our most recent civic entrepreneurial efforts include the Community Leadership Course for Veterans. Recognizing the largely untapped leadership potential of newly returned veterans, this program aims to leverage the skills and experiences of these men and women by exposing them to new leadership networks and opportunities for service to the Southwestern Pennsylvania community. Would you recommend LEADERSHIP PITTSBURGH INC?